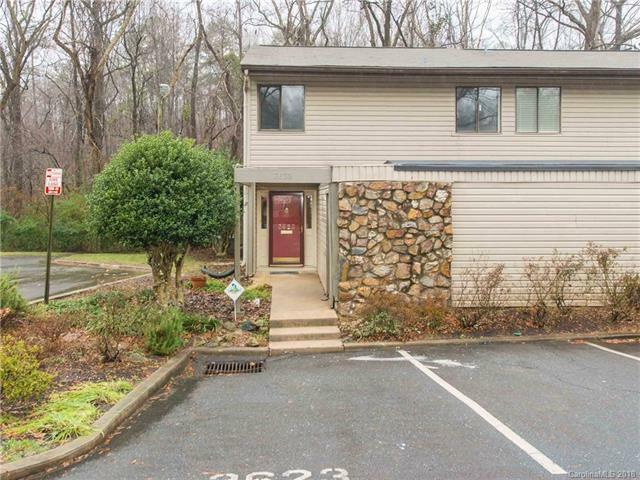 3623 Maple Glen Lane, Charlotte, NC 28226 (#3460800) :: Robert Greene Real Estate, Inc. Location! Location! Location! Beautiful End Unit condo in sought after Southpark. Move-in ready 3 Bedroom, 2.5 Bath, two story home with custom deck overlooking a private wooded view. PLUS lovely enclosed front porch area off the kitchen with storage unit. Updated kitchen features granite countertops, stainless steel appliances and pantry. Fresh paint throughout home, laminate wood flooring on main and new carpet upstairs. Second balcony off the Mstr Bedroom with walk-in closet. Upstairs Laundry room conveniently located near all bedrooms. Popcorn ceilings just scraped & removed, now smooth. Great closet & storage space. Conveniently located close to Southpark Mall, Phillips Place & Piedmont Row. Excellent value for almost 1500 sq. ft. in the heart of Southpark.